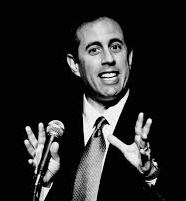 I over-heard Pat say that comedian Jerry Seinfeld was coming to perform a show in Toronto. She said that what she loved about Seinfeld was the way he could take something totally ordinary and mundane -- the minor details of everyday life -- and make it all so noteworthy , and yes, very very funny. And that got me thinking about painting. And Tom Thomson. How many art instruction books out there .. every single one (?) ... direct the painter to open their eyes and see, truly see, what lies before them. The ordinary, the mundane, the everyday. Paint THAT and make it new again.